An interesting Map of what the body looks like compared to emotions!!! This data is very interesting in relation to the Ancient Mysteries and The Alchemical process of realizing yourself and attaining Self Mastery. This post goes well with Emotional Guidance Scale (Explained in detail) How to be guided by your emotions, instead of controlled by them. By Justin. And the post True Health: How to Tap Into the Healing Abilities of Your Chakras. Our Emotions, (E-Motion Energy in Motion) reflect to us physically, what we have created within, our RE-Presentation of the Truth. 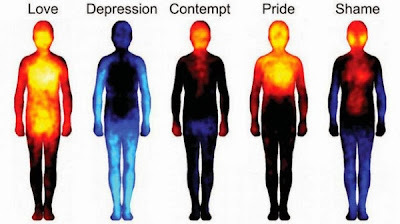 Below we can see the mapping of our emotions on the body itself, which helps us in our NOW moment of experiencing them, because we can channel those energies into our actions; both within and without. This could be thought of as the Caring aspect, the Divine Feminine. A Compass is used to guide ships and people direction-ally, could it be that the word is also suggesting that Compassion is a Guide to our higher self? 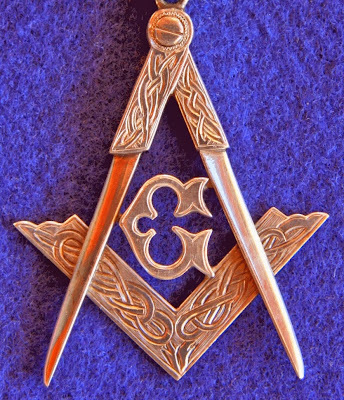 The Ancient Mystery’s thought so, and as a result much of the Masonic Symbolism expresses this as well, as Mark Passio discusses extensively in his work. The word Compassion, has the word Compass in it, which is used to make a circle. Hence in Masonic Symbolism, the compass is on top of a perfectly balanced Square. Representing that we have come into ONENESS with our material experience, or animal nature, through Compassion and using our Emotions as a tool for Caring enough to take action; leading to the Mastery of Self, and the grounding of the higher self. It is a feedback effect. We experience the sensations of our experience, then these sensations trigger symbolic reflections to us, which are the results of how we ‘decided’ to feel after an experience, which then triggers an emotional reaction. For example, the smell of coffee brewing, to a coffee drinker is a delightful experience, whereas to one who hates coffee, it is nauseating. “We create our reality,” is something we are developing a greater appreciation of, and in the aforementioned example, we create what we feel when smelling the coffee brewing based off our choices. And all of this is relevant to Self Mastery, because the Universe, or Eternal Essence, is choosing to experience, everything, for full realization (Real Eyes Ation, to make real through seeing what IS). The ‘bad’ emotional states we create for ourselves are a result of our choices. We and the Universe agreed to create these ‘painful’ experiences so that we can make a greater choice, and RE-Member who we truly are, via free will. Progress is the watch word of the Universe. 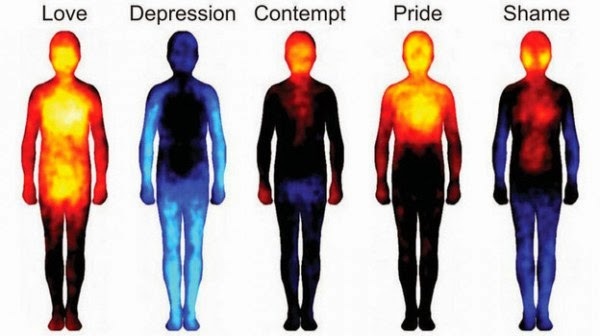 Psychologists at Aalto University (AU) in Finland have conducted a study to decipher where on the human body emotion manifests. Most people describe having “butterflies in your stomach” or having “your heart race with excitement” when experiencing love. Depression is described as having a “dampened” feeling in the “arms, legs and head”; while danger feels like “strong sensations in the chest area”. Scientists have disagreed on how each emotion distinctly manifests as physical patterns on the human body. Nummenmaa gathered 700 volunteers to participate in this experiment . Volunteers were shown 2 blank silhouettes of persons on a screen and asked to determine their emotions by painting the areas of the body that were stimulated by that emotion.